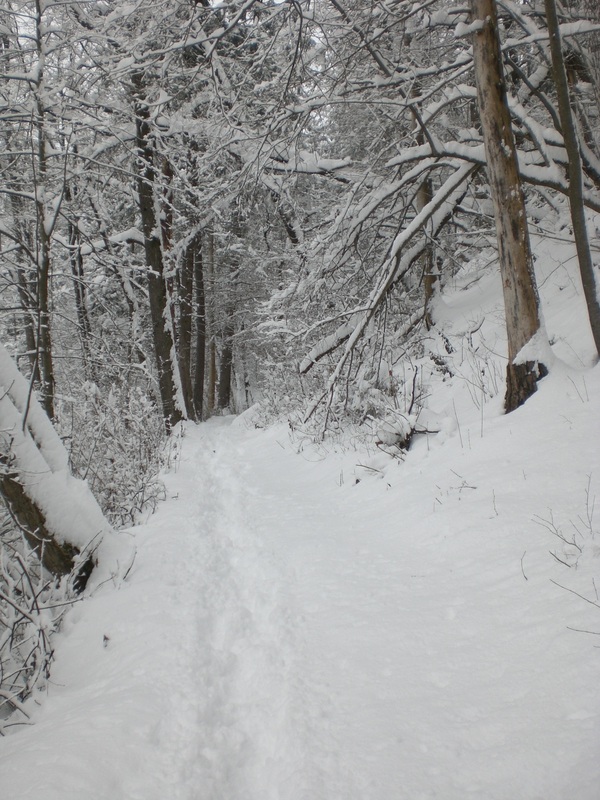 Snowy Slovenia and Happy 2015! Although Christmas Day itself wasn’t ‘white’, just 2 days later, as had been forecast, the snow arrived – and plenty of it too. On Sunday morning I woke up to the familiar winter sound of snow ploughs and people outside shovelling snow from one pile to another, digging out their cars and clearing their pathways and driveways. Those that know me, and regular readers of my blog, will know only too well that I’m far from a fan of the white stuff although actually I don’t mind the virgin, powder, dry snow; what I don’t like are the inevitable icy pavements and paths that follow and wish it were possible to just enjoy the snow for a few days and to then wake up one day and find it all gone – if only! This was the view from out of my window on Sunday morning, and the path down to the Šobec camp (right). 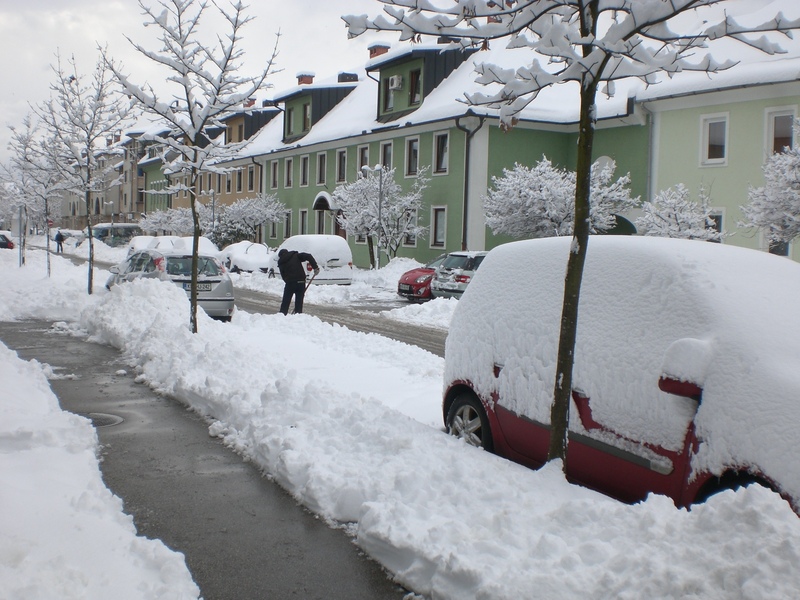 Of course, owners of Slovenia’s ski resorts will be doing cartwheels to celebrate this big dump of snow as it means their season can start in earnest and will provide a much needed boost to their coffers. Some of the country’s largest and most popular are; Krvavec, Vogel, Cerkno, Maribor’s Pohorje, and Kranjska Gora. Others include Golte, Stari vrh, Soriška planina and many more. Sadly, Kanin, Slovenia’s highest ski resort in the Soča valley, still remains closed and it can only be hoped that a rescue package can be found for what was once a thriving winter destination. The advantage of many of Slovenia’s ski resorts is their ease of access and, in comparison with neighbouring countries, the relative cheapness of ski passes. It all looked so different on Christmas Day when I took my parents, who were visiting from the UK, for a surprise trip to see the Live Christmas Nativity in the Postojna Caves. 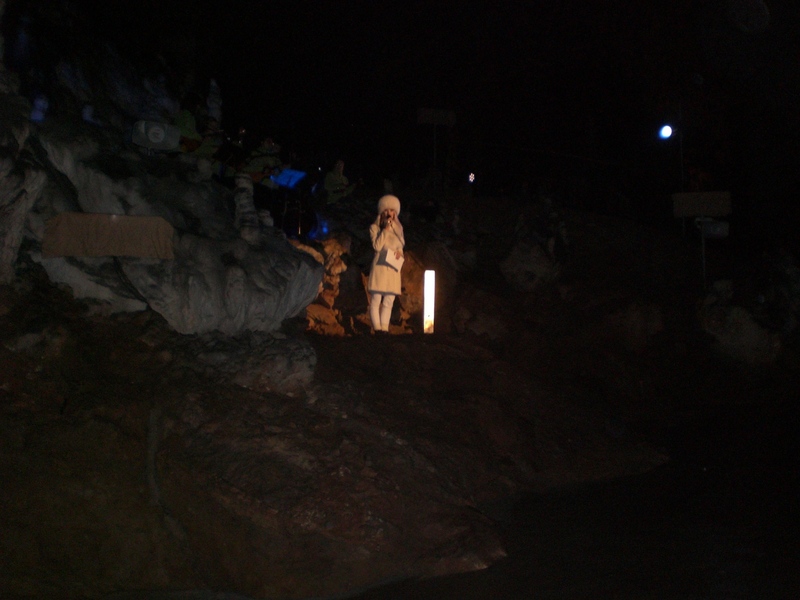 A visit to the caves is magical whenever you visit, but on this occasion it was made even more so by the cast of actors and singers performing nativity scenes and Christmas songs. Before reaching the entrance of the caves, there is a working watermill, as seen below, and which you can visit to see flour-grinding demonstrations. 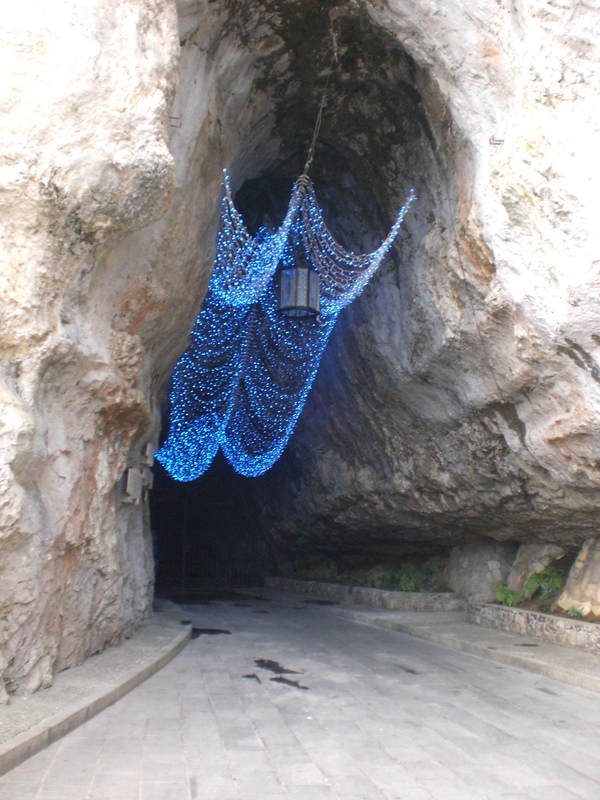 The Postojna Caves are one of the top tourist attractions in Slovenia and really worth a visit. The experience begins with a ride on the mini-train which takes visitors into the heart of the vast cave system and thereafter a large part of the trip is made on foot, accompanied by guides, before returning to the train to exit the caves. The UNESCO listed Škocjan Caves are equally as impressive (minus the train) so if you are visiting Slovenia, do make sure to visit one of Slovenia’s karst caves, you won’t be disappointed. I’m afraid since flash photography is not permitted, I don’t have any great photos of the interior of the caves; all the more reason then to come and see them for yourselves! In Radovljica meanwhile, we were entertained on Boxing Day by Tobia Circus performing live in the old town centre with an impressive, though bizarre, act which consisted entirely of various tricks performed with brooms! So, it’s almost the end of another year and thus time for reflection on the highs and lows of my year. I’ll get the ‘lows’ out of the way first, since there really was only one; the weather! It began with the devastation caused by the glaze ice in February (http://wp.me/p3005k-bf), the effects of which are still very much in evidence in forests and woods, particularly in the central area of the country. Otherwise, it was the rain and lack of sun that meant it was a bit of a wash-out of a year, meaning my hiking and biking trips were less frequent and ambitious than I had hoped. Now, on to the ‘highs’. On the professional side, after almost 8 years living here, my efforts seem to be finally paying off and I have a marked increase in the amount of translating and proofreading work I have been doing of late. But perhaps the astonishing success of my blog is one of my proudest achievements of the year. When I began writing it in 2013, I had no idea if anyone would find it/read it, however, in it’s first year, it had 10,000 readers; this year it has racked up over a further 30,000 readers taking the total to over 40,000 since I began writing it. Along the way I’ve had lots of positive feedback, helped many readers who have contacted me for advice and/or assistance, and met some of my readers too. 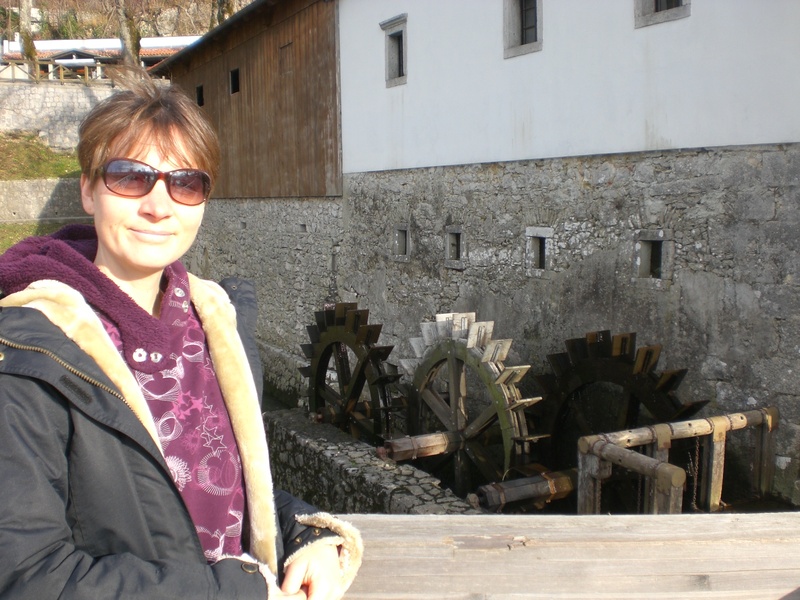 I believe the thirst for information about Slovenia will continue to grow and I hope to try to keep providing as much up-to-date information about my life here in Radovljica and the surrounding areas; my hikes, bike trips, and trips further afield. My Adele in Slovenia Facebook page has also mirrored the success of the blog and I will also endeavour to keep providing relevant up-to-date information there too, as well as photos on my Pinterest page. On the personal side, well my year is ending much the same as it began i.e. alone. However, I don’t see that as a negative. This year for me was about regaining some of my lost confidence and assertiveness, meeting new people, building friendships, and continuing to live a relatively quiet, but content, life in this tiny corner of Europe. So all in all, 2014 was a good year and here’s hoping 2015 will be even better! Lovely scenes and interesting information. Looking forward to my visit to the Soca Valley/Bohinj/Bled in 2015. Thanks for the feedback and the wishes. Happy New Year to you all too. You certainly packed a lot into your visit to Slovenia. But don’t worry, there’s still more awaiting you for your next visit. I’ll be in touch with some ideas and recommendations to get you started with your planning! I am happy to find a blog in english that talks about life in Slovenia. And especially an interesting one, as your blog’s last posts have proven. I bet it will get even better when I spend more time here. Keep up the good work with your baby (blog) and I know someone who will be visiting this blog quite frequently in future. Wish you awesome beginning of 2015! Thanks for your feedback. It’s always nice to hear from people that have found my blog and that it is useful to them. Don’t worry, I will be keeping up the good work so do keep reading!